To reserve the watercraft you want on the day(s) you are visiting Higgins Lake, call us to find out if the kayaks or paddle boards you want are available and in the quantity you need. You can reserve those watercraft for a half-day, full day, 5 days or 7 days - whichever fits your needs! We can make official reservations for you over the phone. You'll know your reservation is final when you get an email confirmation from us in your inbox. Of course walk-ins are always welcome, but Load 'N Go cannot guarantee that all watercraft types or quantities you want will be available. 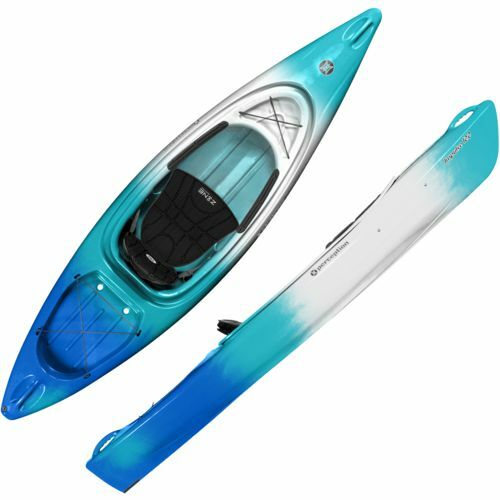 Load up the kayaks or paddle boards atop your vehicle or in your trailer and your adventure begins. The beauty of Load 'N Go is you get to treat our rentals like they are your own. No hot sweaty ride next to a stranger on a refurbished school bus to a mapped-out water route with a beginning and end. No large group water tours where you wait an hour for the rest of the novice paddlers to catch up before you can finally head home. No pressure to keep up or endure a steep learning curve in the company of experienced paddlers. NOTE: If you don't have the means to transport your own kayak or paddle board, we do offer delivery services. Please call to arrange. You choose your company; you choose your watercraft; you choose when and where. Enjoy freedom, you deserve it. Drop off your watercraft and all associated gear at the end of your rental period during our regular business hours. Please be advised that any watercraft and/or gear not promptly received at the end of your rental period will incur late charges.